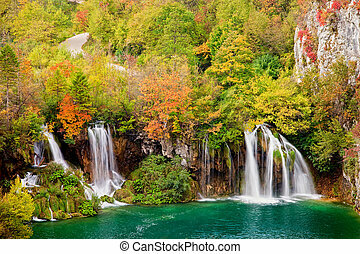 Autumn waterfalls. 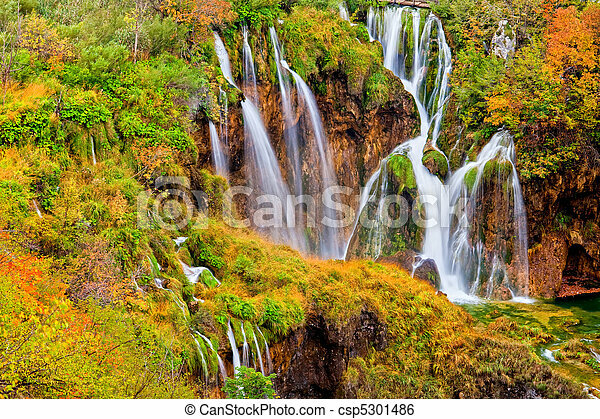 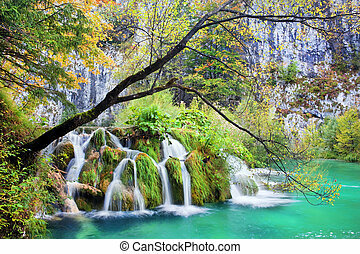 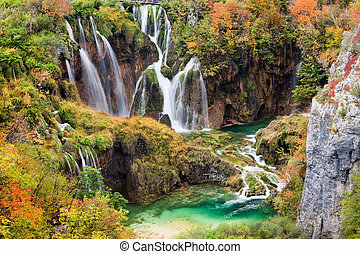 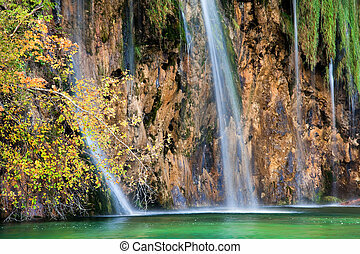 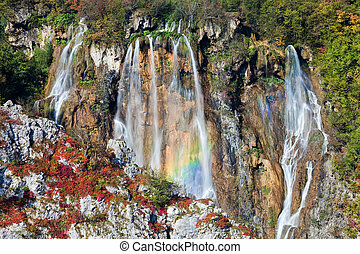 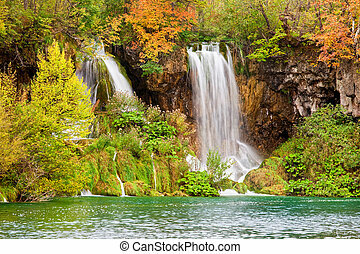 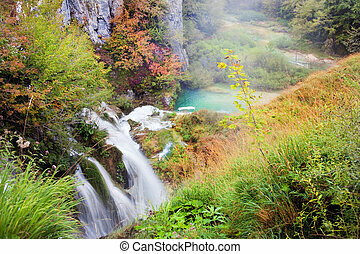 Scenic autumn landscape with beautiful waterfalls in the plitvice lakes national park in croatia. 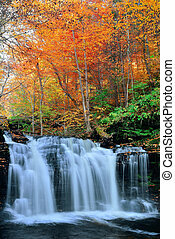 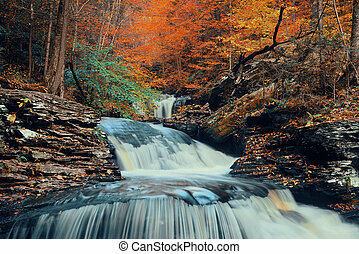 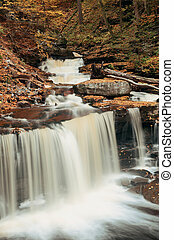 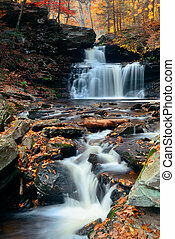 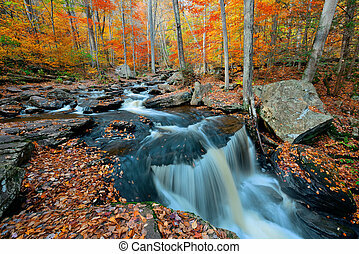 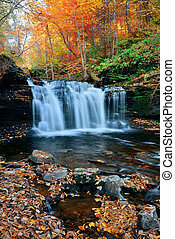 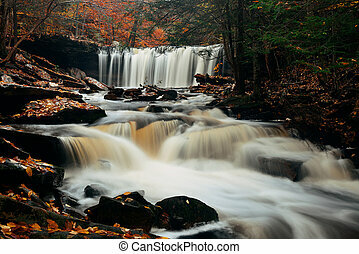 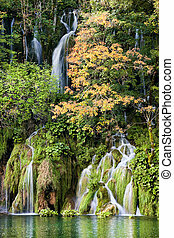 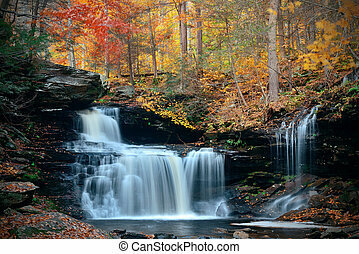 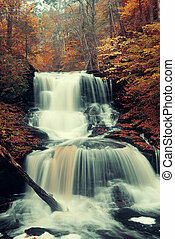 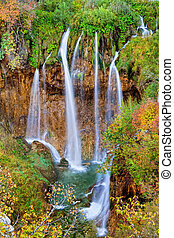 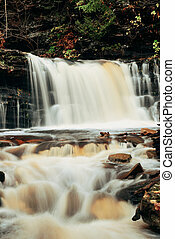 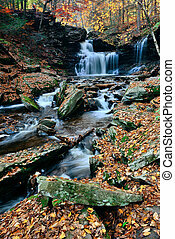 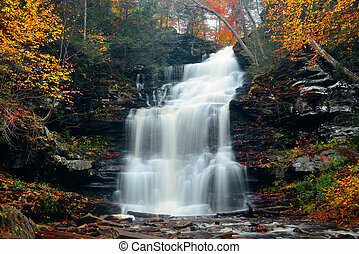 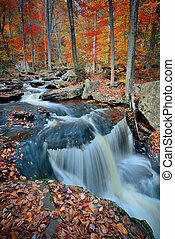 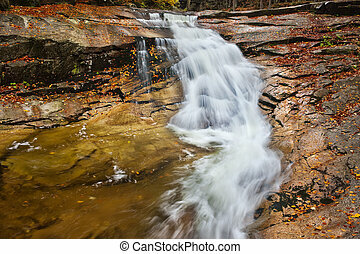 Autumn waterfalls in park with colorful foliage. 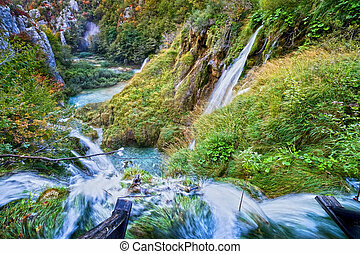 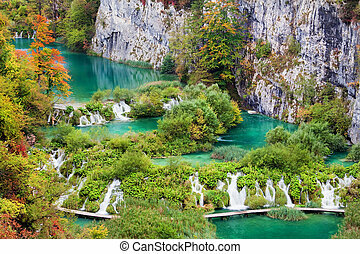 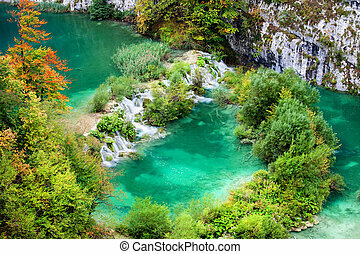 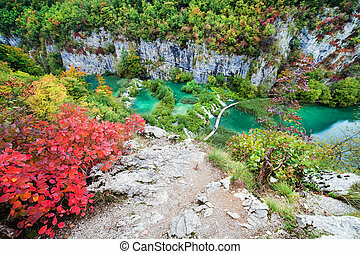 View from the top of the waterfall down the picturesque valley in the Plitvice Lakes National Park in Croatia. 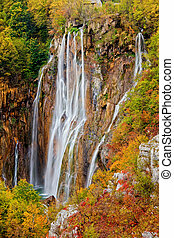 Waterfall on Mumlava stream in autumn, Krkonose (Giant Mountains, Karkonosze) Czech Republic.